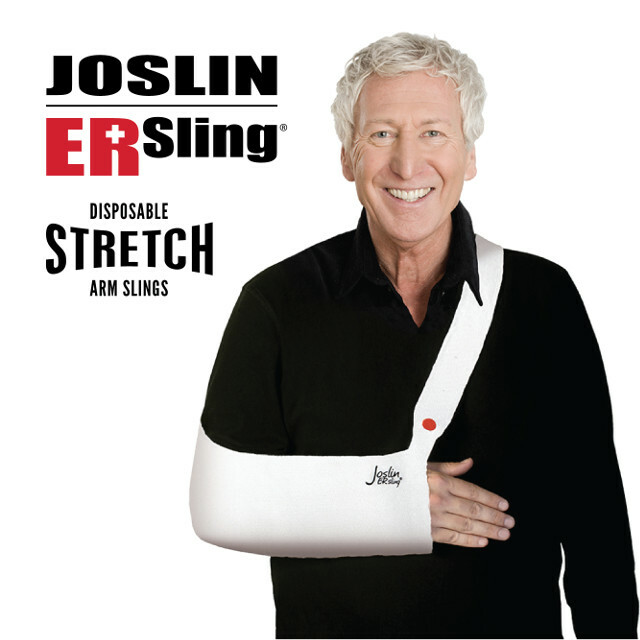 The Joslin ER Sling® is a disposable arm sling that stretches to fit a wide range of patients and replaces the need for multiple sizes of traditional cloth arm slings. Both the sling pouch and back strap are made of stretchable material and adjust for custom comfort and fit. The flexible nature of the sling reduces common neck complaints and dramatically increases patient compliance. It is designed for use in hospital emergency rooms, cast rooms, clinics, and for disaster relief – anywhere arm slings are used in high volume for short-term injuries. It fits both left and right arms and is latex free. The Joslin ER Sling® may be cleaned with a damp cloth (do not machine wash). No other sling in its price range competes for fit, comfort and overall customer satisfaction! Designed for Emergency Rooms, ambulatory surgery centers, disaster relief and other high-volume medical venues. It is usable for short-term arm injuries up to two weeks. Made of soft, stretch fabric, it is economically priced and Latex-Free. 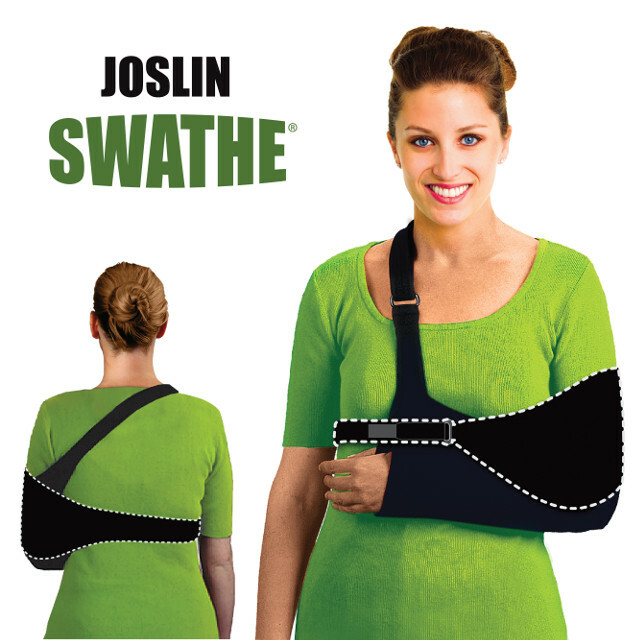 The Joslin ER Sling® fits both right and left arms. 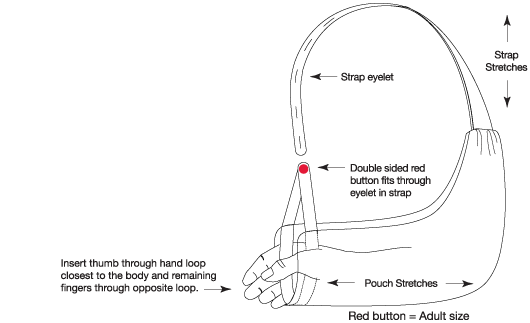 Easy to use: Place arm in sling pouch with hand inserted as shown. Stretch back strap over shoulder opposite the injured arm until eyelet comfortably aligns with red button. Place button through eyelet securely. Strap may be secured on either side of red button. Extra strap length may be trimmed with scissors.